William D. ("Denny") Phillips was born and raised in Washington, Pennsylvania. He received his B.A. from Washington and Jefferson College in 1959 and his Juris Doctor from Duquesne University in 1962. After law school, Denny served two years in the United States Army and was stationed in Stuttgart, Germany. After his honorable discharge, Denny returned to Washington where he worked as an Assistant District Attorney from 1965 to 1967, after which time he entered private practice. Denny is a Fellow of the American College of Trial Lawyers, an invitation-only organization consisting of the "most distinguished and accomplished trial lawyers in North America." (http://www.actl.com/). He has been on the Best Lawyers in America list every year since 1999 and listed as a "Best Lawyer in Pittsburgh" in the fields of personal injury litigation and medical malpractice litigation in 2006, 2007, and 2008. He is also a Pennsylvania Super Lawyer in the areas of personal injury and medical malpractice litigation. Denny is the President and a trustee of the Washington County Bar Foundation. He is a founding member and former president of the Academy of Trial Lawyers of Southwestern Pennsylvania. He is a member of the American Association for Justice (formerly the American Trial Lawyers Association) and the Western Pennsylvania Trial Lawyers Association. He is a member of the Pennsylvania, Allegheny County, and Washington County Bar Associations and a member of the Federation of Defense and Corporate Counsel. 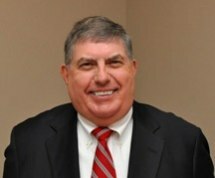 Denny is a skilled and experienced mediator who is frequently employed by fellow attorneys to resolve cases involving personal injury, motor vehicle accidents, medical malpractice, and business disputes. Denny resides in Washington, Pennsylvania with his wife, Sandra. He has three grown children, Bill, Dennis, and Laura, a Phillips and Faldowski associate.